"It feels awesome, it was such a tough battle and I'm very happy I could win in the end", she said. "There were nerves early on but I was just trying to fight for every ball and I think that made the difference in the end". "I think the four of us, in our groups, we all played really well", Stephens said of the semi-finalists. "I was just happy to close it out", Svitolina said in a post-match interview. "Then I lost that second game in the third set where I was just struggling a little bit but bounced back straightaway". "I worked on my mental toughness and that's pretty much what helped me to go through the (Caroline) Wozniacki match and today's match", added Svitolina, who won all three group ties but needed to take a set off the Dane to ensure qualification to the semi-finals. "I don't think I did that many things wrong in the second set", she said. "It's definitely a good statement for myself and good boost of - I can't say confidence, because I try to always have confidence in myself, to have it is my personality". The Dutch world No. 9, who was runner-up in last year's doubles competition with Sweden's Johanna Larsson, has 12 victories over players ranked in the top 10 this season, the most by any player since Serena Williams in 2014. 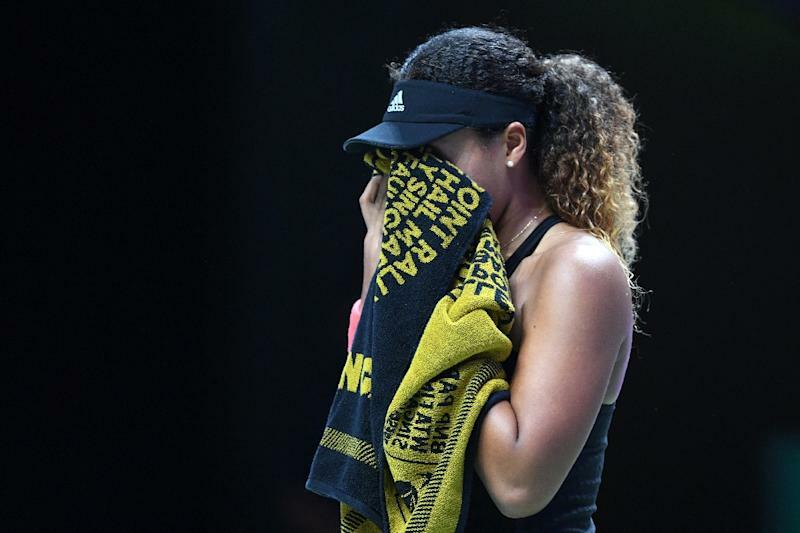 Japanese sensation Naomi Osaka's WTA Finals debut ended in tears on Friday as she was forced to retire against Kiki Bertens, handing the Dutchwoman a surprise spot in the semi-finals. Svitolina was on a mission to silence the "haters" this week and she should have won plenty of new admirers after taking on all comers to claim the biggest title of her career. The match started tensely, with Kerber unable to convert seven break points in Stephens´ first three service games, and the missed opportunities proved costly. Next year the tournament will be happening in the Chinese city of Shenzhen. Svitolina has looked on a mission at the WTA Finals in an effort to make amends for a lacklustre early exit a year ago.